In British Columbia, engineers plan to pump a lake to dodge the effects of drought on a flagging river. Standing on the weir where Cowichan Lake flows into the Cowichan River, Gary Ridley watches as a diver works with engineers to position 20 pumps using a large crane. For the past six years, Ridley’s hands have been on the tap that controls the British Columbia river’s flow. As the weir operator for Catalyst Paper, his job is to make sure there’s enough water flowing downstream so his employer can run its mill. But over the past two decades, recurring drought has made that job much more difficult, with less and less water stored in the lake behind the weir. The weir operates for seven months of the year, holding water back in the spring and regulating the amount of spring and summer flow through the gates to the Cowichan River, until the winter rains return. This year, Catalyst embarked on a bold plan: installing nearly half a million dollars in electrical transformers and pumps to be used to siphon water out of Cowichan Lake and maintain the river’s flagging flows. But there is another beneficiary of this plan: Chinook salmon. This season, Chinook salmon returned to a river experiencing its third summer drought in a row. The low flows were challenging for the fish heading upstream to their spawning grounds. This was also a problem for the local Cowichan Tribes, who rely on the fish as one of their winter food sources. The Cowichan Valley has been hit by drought in eight of the past 20 years, and fisheries managers are looking for long-term solutions to manage the Chinook run. In four of the past 10 years, Fisheries and Oceans Canada has partnered with the Cowichan Tribes to truck Chinook upriver to their spawning grounds. However, it’s a stopgap measure that is stressful for the fish, labor intensive, and expensive. Pumping water into the river keeps it from getting too low for the salmon to move upstream, and is more efficient than trucking. But without an end to the droughts, it, too, is likely little more than a temporary solution. In other drought-stricken areas, such as California, fisheries managers have been trucking hatchery-raised salmon downstream in winter, as dry rivers have severed their aquatic connection to the ocean. In the Sacramento River in 2015, fisheries managers were considering a “desperation measure”: trucking fall Chinook upstream of the Shasta Dam to cool, high-elevation waters. However, California’s drought situation is more dire than that in BC, and is complicated by the fact that large amounts of water must also be allocated to agricultural users. Here in the Cowichan Valley, Catalyst Paper has made a significant investment in its fleet of rented pumps and power infrastructure. In addition to the federal government and the Cowichan Tribes, Catalyst has also partnered with the Cowichan Valley Regional District (CVRD). All parties are invested in seeing the river’s flow maintained. On top of the Chinook run and Catalyst’s mill, the nearby city of Duncan also needs water to dilute its sewage effluent, and the people of Crofton need drinking water. Maintaining river flows will help with all of these issues, but water managers will need to be careful when pumping water from the lake, says project engineer Jack Keen. “Once the pumps are turned on, the weir gates and boat lock will be closed. Water levels will be higher in the river [than in the lake], and we don’t want the water to flow backwards,” says Keen. This would cause a drop in river flows, and would hurt river ecology. Ultimately, in the face of persistent drought and climate change, the pumps may merely defer the problem rather than solve it. Long-term climate change forecasts, however, predict that the area will see winter precipitation increasingly fall as rain rather than snow, reducing river flows later in the season. Warmer spring and summer temperatures are also part of that forecast, and local water managers are working under the assumption that summer drought is the new normal. The best long-term solution to the river’s low flows is to increase the height of the weir that separates the lake from the river, says the CVRD’s board chair Jon Lefebure. But that’s a highly controversial plan, which could raise the possibility of spring flooding of waterfront properties. Not long after Keen and his team got the pumps installed, the valley received two days of rain. Within a week the winter rains had returned completely, precluding the need for pumping. Although river flows recovered just in time this year, with continued dry summers it’s likely that pumping may be on the table again next year. Sarah Boon is a former hydrology professor. Her articles have appeared or are forthcoming in Outpost, BC Forest Professional, iPolitics, Canadian Science Publishing, the Nature Conservancy of Canada, CBC’s The Nature of Things, Terrain.org, and the University of Alberta’s Science Contours. 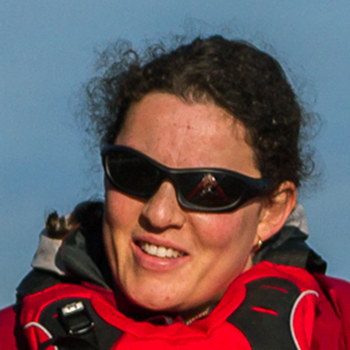 Sarah is a cofounder and serves on the board of Science Borealis, where she was formerly the editorial manager (2013 to 2015) and Earth and environmental science sditor (2013 to 2016). Cite this Article: Sarah Boon “A Pumping Plan to Elude Drought,” Hakai Magazine, Oct 26, 2016, accessed April 25th, 2019, https://www.hakaimagazine.com/news/pumping-plan-elude-drought/. The coastal Klallam people had to adapt to an altered ecosystem in the wake of an earthquake and tsunami.